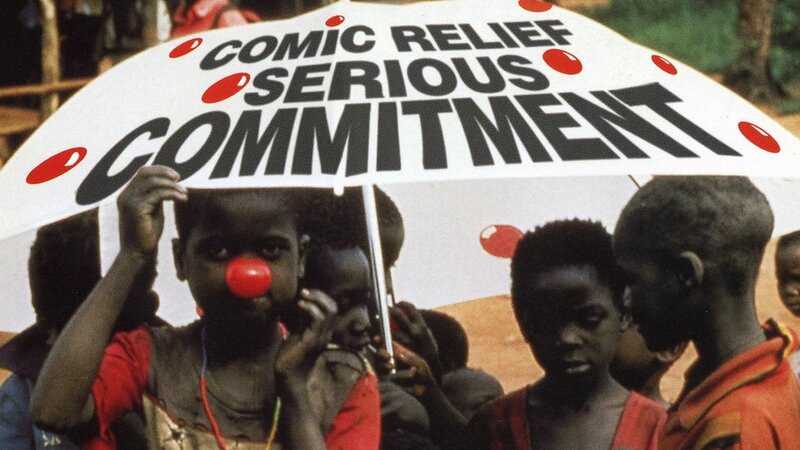 There is nothing more heartrending than watching the desperate plight of African children for Comic Relief every year. Raising more than £800 million in 25 years is a commendable effort, but it alludes to an important issue. Why is the African condition not improving and are we looking at the wrong actors for the cause of this? According to an article published by The Citizen, statements made in March 2012 at the Times Africa CEO Summit by former EU trade commissioner Lord Peter Mandelson suggested that European humanitarian organisations were involved in a conspiracy to keep Africa in the throes of poverty. Lord Mandelson said that European charities opposed his attempts to re-negotiate trade agreements that would benefit Africa with more commercial opportunities: “When I tried to re-negotiate EU’s trade rules […] who were the people trying to silence me? […]It was the European NGOs!”. The former Cabinet minister accused Western charities of “trapping Africa in continued poverty” by hampering trade talks with the EU that could have delivered development and economic growth adding that it was “biggest discovery of my life”. However, European NGOs are hardly the only culprits involved in keeping Africa in a permanent state of dependency and poverty. African states are seen to bear the brunt of political dysfunction, primarily because of two financial institutions, the International Monetary Fund (IMF) and the World Bank, well-known for imposing conditions that cripples the African continent. These institutions seem to prescribe unrealistic and unpopular measures to qualify for loans in which conditions include measures to privatise natural resources and allowing unlimited access to foreign companies, designed to keep Africa eternally poor or dependent on the West. It’s ironic that the two monetary institutions were first formed by 44 nations at the Bretton Woods Conference in 1944 with the original goal of creating a stable framework for the post-war global economy. Now, the IMF and World Bank are largely controlled and owned by the development nations such as the US, Germany, UK, Japan, amongst others. As academic Michael Hodd writes in “Africa, the IMF and the World Bank”, the US controls 17 to 18% of the voting right at the IMF. When an 85% majority is required for a decision, the US effectively has veto power at the IMF. 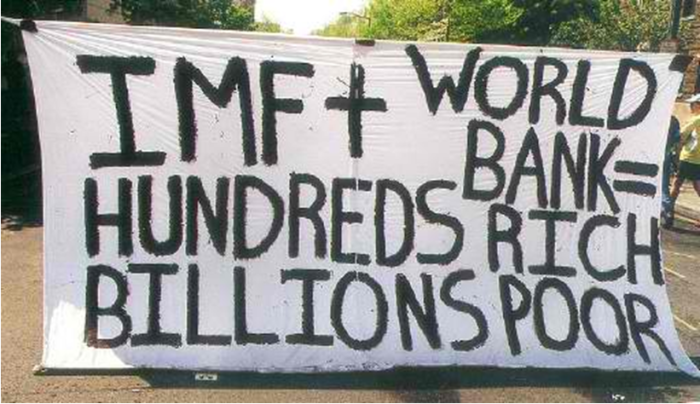 In addition, the World Bank is 51% funded by the US treasury. Under a plane devised mechanism, the World Bank and the IMF loan money in return for the structural adjustment of their economies. This means that economic direction of each country would be planned, monitored, and controlled in Washington. Even as Africa faces the worst health crisis in human history, these institutions insist that debt repayments take priority over spending on the fight against poverty and HIV/AIDS. Nana K. Poku, Professor of African Studies at Bradford University, writes that African countries continue to spend up to five times more on debt servicing than on health care for their populations. So despite all of this ‘guidance’ from the West, it’s rather clear that the poverty-stricken conditions of Africa isn’t about to change, otherwise it would have done so decades before. Consequently when Lord Mandelson and former Prime Minister Tony Blair argued at the Times conference that the solution to Africa’s problem is effective governance and foreign direct investments, it seems the current arrangement is part of the problem in why Africa remains one of the poorest places in the world. It’s hardly any surprise that proponents of the anti- Economic Partnership Agreement (EPA) move between Africa and the West, including Tanzania’s retired president Benjamin Mkapa, contended that the West still want to hold Africa hostage to trade and investments. At the same summit, the former president said African economies could not be fully opened up to the West without responding benefits to level the playing field. Mkapa argued that Africa will not emancipate itself from poverty and chains of colonialism until it chooses to reconsider its position in the world today through regional integration towards a United States of Africa. This privatisation goes hand-in-hand with trade liberalisation, as well as neo-liberal ideals. Neo-liberals argue that, the fundamental factor responsible for the economic crisis in Africa is the excessive state regulation of the economies of African countries, which among other things distorts the process of economic development and leads to inefficiency in the allocation of resources. They maintain that the problem can only be overcome through the peripheralisation of the state and the ascendancy of market forces in Africa’s political economy. In this light, neo-liberal countries have decided to impose their neo-liberal ideas on African countries. Neo-liberals call for good governance, democratisation and human right. Through this, they tend to present themselves as friends of civil society while presenting the state as the enemy. The emphasis on liberal democracy and state sponsored democratisation has only resulted in the installation in power of the corrupt and decadent element that contributed greatly to the development crisis in the first place. Not to mention, the allocation of resources has played directly into Western hands. And that is exactly what this situation entails. Neo-colonialism has mutated into a financial-based hegemony in which distinctive cultural orientations and foreign policy pressures prevail over other cultural groupings such as in Africa. So while charities continue to raise money every year to save the plight of millions by attempting to provide vital vaccinations and crucial treatment, the only way Africa can be ‘saved’ is by handing African resources back to Africa, and making the governments involved pay the price for inducing this crisis. 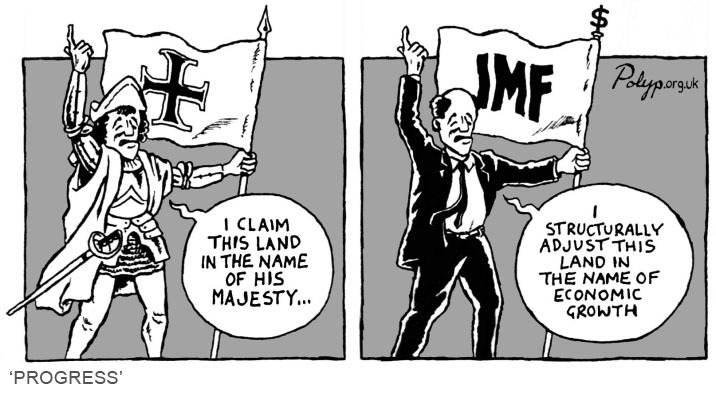 Posted by suswatibasu on March 16, 2013 in Global Issues, politics and tagged Africa, Comic Relief, IMF, Poverty, UK, World Bank. A truly illuminating post, Suswati. Keep telling the truth and some day someone with power may listen. The world doesn’t stay the same. Change is coming. Thank you Lawrence, I really do hope people listen. It’s easy to become jaded by mainstream media. It’s true. I encountered Red Nose Day for the first time when I was a twelve year old living in England. I wondered then, and I wonder now- why “Red Nose Day?” It makes everyone look like clowns- it’s something to be laughed at while raising money for a cause. Why not have something else? Something more serious? Something that would really allow people to think about what they’re raising money for? One event that comes to mind which does this is the 30 hour famine- people raise money by getting sponsors and don’t eat for 30 hours. (They can drink fruit juice I think..) but it raises money and reminds people that some people have to go hungry every day. It’s about putting themselves into other people’s shoes. I don’t really think that things will change until we begin to emphasize with those who we try to help- not just sympathize. We need to realize that we can’t help until we “consider things from other’s point of view… Until we climb inside of his skin and walk around in it.” (Harper Lee -To Kill a Mockingbird quote) We can recognize a problem and bring awareness, but if we don’t know what it’s really like, what’s to stop people from doing it again? That’s true, empathy is necessary to understand the plight of others, but this goes more for corporations that use African resources and foreign investors. It’s admirable that ordinary people want to help others, but it should not be their responsibility in doing the governments’ job.